A day to give thanks for the year gone by. To reflect. To celebrate. To engage in a ritual and ceremony. To enter the new year with prayer. Do you want to enter the New Year with prayer, ritual and ceremony? 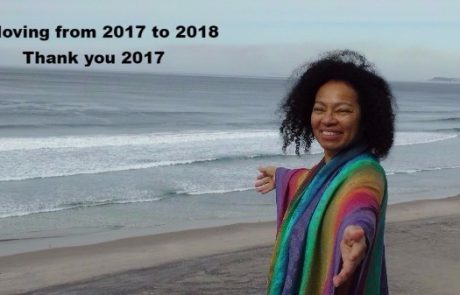 Do you want to open to more in 2018? Do you feel you are underwater and want to come up for fresh air? 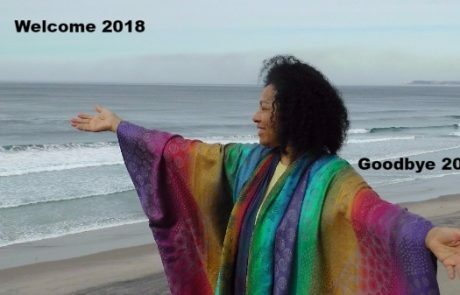 Are you wanting to unload 2017 and upload 2018 in a safe sacred space? 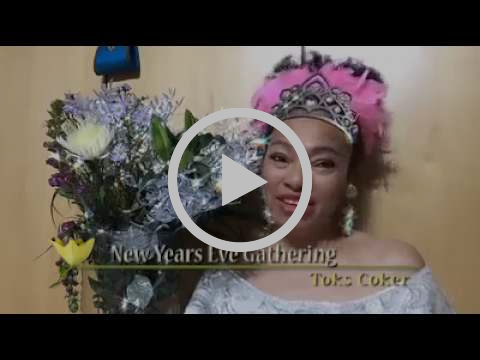 Join us at 10pm on 31 December as we gather to relax, say goodbye to 2017 and welcome in the wonderful unknown of 2018. An evening to give thanks for the year gone by, 2017. To reflect. To celebrate. To engage in a ritual and ceremony. 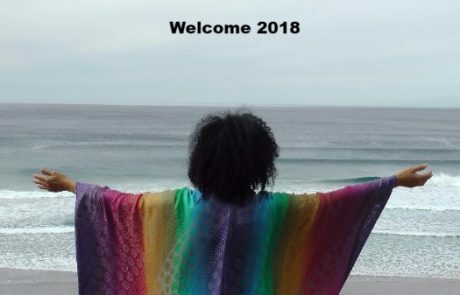 To enter the New Year, 2018, with prayer. 1. A NEW YEAR GIFT: Please bring with you a New Year Present to gift one person. The gift should be worth £5-10, to give away. We will then close our eyes and start the New Year with a present from Spirit. 2. SPIRITUAL EXCHANGE: It will cost £44 cash at the door. This I will donate to RNIB. In order to attend, please make a donation of £44 to the Royal National Institute of the Blind or pay £44 at the door. Click here to make your donation: www.justgiving.com/Toks-Coker Or pay on eventbrite which has a fee – Click here Eventbrite. THANK YOU. 4. CLOTHING: Please wear white – You can change when you get to my flat. White is a powerfully spiritual colour for cleansing, healing and powerful portal shifts. If you are not able to come or attend, please feel free to donate to RNIB and help me raise some money. Thank you. At the end of the ceremony, we share the gifts we brought (no one knows whose gift they will pick). This is always a wonderful part of the evening. I still have my Zara perfume someone gifted me and I use it regularly. Later, after the ceremony, we also talk, watch TV, sing, drum, drink, eat, laugh and share. Please let me know what you decide. Let me know if you are able to come so I can plan numbers. Thank you. ps – 2nd of January is the Full Moon. 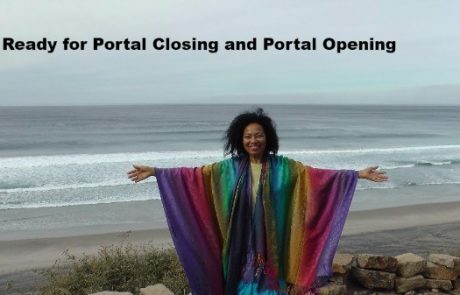 In the Gathering of Closing and Opening the Portal there is a lot of change and transition and transformation happing. In one gathering we had musicians who played lovely songs for us after the ceremony. We had link in via Skype from Turkey too. That was amazing too. And we had everyone writing and letting go and building a new future for themselves and writing it into being. Greatness. 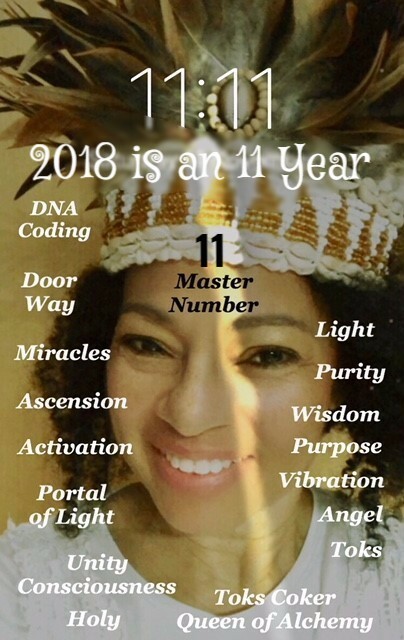 We will create a Powerful Portal so that we will walk out of 2017 empowered and ready to face the wonderful unknown of 2018. We will choose to celebrate with Sacred Ritual, Prayer and Invocation Blessings. It will be both a collective and individual experience. There will be a powerful vortex of healing that will leave you happy and connected, to yourself and to each other. We will have a great time together as we celebrate our individual and collective transitioning into 2018. We will bring delicious food to share together after having offered it to the Sacred Altar. Please wear white – You can change when you get to my flat. Please bring with you a NEW YEAR PRESENT to gift one person. We will then close our eyes and start the New Year with a present from Spirit. I am asking everyone to bring a New Year gift worth £5-10 to give away.